As the first brand to change the older, less stable three-wheeler into a safer four-wheel design in 1983, Suzuki is a well-known and respected innovator in the ATV world. 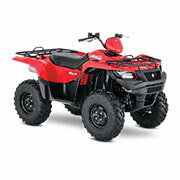 In 1985, they introduced their first Quadsport which allowed for riders to cover tougher terrains than ever before. Since then, they have continued to expand and improve with the main focus on quality manufacturing at the core of it all. Whether you need brake pads or suspension parts, we have you covered right here for your favorite ATV. From speed focused models for racing to the sleek power of their everyday rides, this brand knows how to make some of the most exciting and sought-after motorcycles on the market. Whether you use yours for competition or hitting the highway, we have you covered with a wide range of solutions covering every imaginable model. Find it all right here! When looking for a fun and easy way to get around town in style, a scooter from this brand is the perfect choice. We offer a wide range of parts covering all their most sought-after models to make sure your favorite ride is ready to go. Whether you need air cleaner solutions or a crank balancer component, we have you covered right here. Finding the right solution for your favorite vehicle shouldn't be a hassle. With our selection of Suzuki OEM parts at the ready, make sure your ride is always ready to go at peak performance. We offer one of the largest selections of solutions on the market to ensure fans of this manufacturer get the right outcome. Whether shopping for spark plugs or batteries, we have it all right here. The story of Suzuki is often touted as one of the longest in the industry, but there are a few things worth knowing as a fan of this name. While it's true the Suzuki company was founded in 1909, their first products were quite different than what they are known for in the modern world. The company was a loom manufacturing service until 1937 when they started working on a small car model in an attempt to diversify their brand. While they would go through an ebb and flow of wins and losses over the decades, they started to make their mark in the form of their motorized bicycles and eventual motorcycles in the early 1950s. By 1954, the brand was producing more than 6,000 motorcycles every month which was an impressive figure at the time. Since then, this manufacturer has not only hit their stride but also expanded into a wide range of vehicle types for nearly any preference or situation. For example, their motorcycles have competed in and won several Grand Prix races and are considered a leading manufacturer for competitive racing. While their bikes offer impressive engine displacement, safety features, and comfort aspects for an enjoyable ride, they are no longer geared just towards the race circuit. 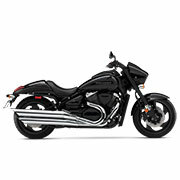 As an ever-evolving brand, Suzuki recognized the opportunity to make motorcycles an everyday ride again through their sleek designs and powerful performance coupled with new advancements in efficiency and comfort. 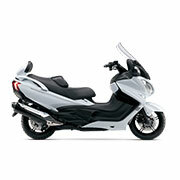 The brand also ventured into scooters of exceptional standards for those looking for the same fun of a motorcycle but with added stability and better gas mileage. For those looking for adrenaline and fun off road, Suzuki created a complete lineup of rugged and ready to ride all-terrain vehicles. Whether you are a fan of their motorcycles, scooters, or ATVs, we are pleased to play a part in your story with this exceptional name in the industry. When shopping for the best in Suzuki OEM parts, we offer a diverse selection of options for your needs. Made by the manufacturer to ensure the right fit and performance for the specified vehicle model and year, these Suzuki OEM parts are designed with the highest quality standards to ensure proper performance and function with every ride. Whether shopping for your ATV, motorcycle, or scooter, we offer nearly every model, series, and year from this respected name in the industry. We also focus on offering a wide range of product types to meet your needs. With an inventory of options ranging from spark plugs and brake pads to bearings and handlebars, its easier than ever to find the right solution for your needs. We are committed to helping customers find the right Suzuki OEM parts with ease. If you have any questions while shopping with us, please reach out for further assistance on the matter. We are always happy to help!